HAI works in post-conflict areas, and we have witnessed the devastation that war and armed conflict have on health systems and the health of communities. In addition to helping governments rebuild health systems, from hospitals to health workforce, we also recognize the need to highlight the harmful effects of war on health and develop better ways of responding to — or better yet, preventing — conflict situations. 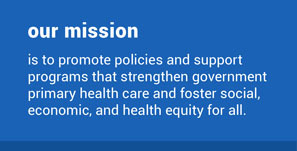 The powerful tools of public health, including robust research methodologies and dissemination of results, are essential to documenting and advocating for policy change to improve lives. War causes injury and death directly; by some estimates, armed conflict resulted in 1 million to 1.5 million deaths per year in the 20th century. To put this in context, it represents about the same number of annual deaths as those from AIDS (about 1.5 million in 2013) or tuberculosis (about 1.5 million in 2013), but more deaths than caused by malaria (about 584,000 in 2013). The health costs of war are not only limited to treatment needed for victims and veterans of war; they are also felt in the diversion of financial resources away from health, education, and social sectors towards ministries of defense to fund military action. Armed conflict also destroys hospitals, water and sanitation systems and drives health workers away from combat zones. Countries emerging from conflict are often faced with rebuilding an entire health system, with few resources at a time of great need. HAI supports efforts to research, document and illustrate the impact of war on health. We support the work of academics studying the effects of war and seek to share results with the broader community. We also look for ways to contribute to the body of knowledge about rebuilding health systems after conflict.